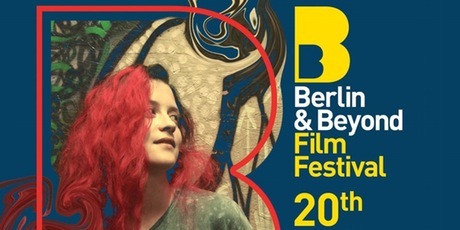 The 20th Berlin & Beyond Film Festival returns to San Francisco’s beautiful Castro Theatre and the Goethe-Institut auditorium with a selection of the best award-winning films and talents in contemporary European cinema. The festival programs screen through January 20. Among the highlights are the international premiere of Lars Kraume’s ensemble comedy/drama Family Party, the North American premiere of the spy drama After Spring Comes Fall and the U.S. premiere of Martin Hawie’s gritty, black-and-white Toro. Eat My Shorts celebrates with some selected shorts from filmmakers with features in this year’s Berlin & Beyond. The 2016 festival program opened with a rare appearance by rising international star Tom Schilling, who received the festival’s Spotlight Award for Acting before the opening-night screening of his latest starring role in Germany’s award-winning blockbuster Who Am I – No System Is Safe. The actor, seen recently by American audiences in The Woman In Gold (2015), will also be present on Saturday night, January 16, for a Castro screening of his international breakout, Jan-Ole Gersters’s critical darling A Coffee In Berlin, reviewed at EatDrinkFilms last year. We have found a dark comedy starring young Tom Shilling, Wigald (2006). In 2012, the festival screened Nicolas Steiner’s first full-length documentary, Battle of the Queens. He was a Fulbright scholar at the San Francisco Art Institute in 2010 and developed a relationship with the Goethe-Institut here. Steiner’s newest film, Above and Below, is a spectacular achievement in terms of filmmaking. “A mesmerizing plunge into the damaged psyches of five characters floating by on the margins of American society….a festival treasure that treats its subjects with a dignity that transcends judgment and a poetic sensibility that ranks it among the year’s most remarkable cinematic discoveries,” writes Peter Debruge in his Variety review. This is Steiner’s graduation film so expect even bigger things from him in the future. Nicolas will be attending the screening of Above and Below at the Goethe-Institut on Monday, Jan. 18, at 7 p.m.
We are featuring one of his beautifully shot and very funny short films. Nicolas Steiner was born in 1984 and grew up in a small village in Valais, the Southern Mountain part of Switzerland. During his time at high school he worked as a gravedigger, played drums in various bands and did his military service as an army percussionist. In 2005/06, he attended the European Film College in Denmark before studying Ethnology and Film Studies for a year at the University of Zurich. As of 2007, he learned a director‘s handicraft at the Film Academy Baden-Württemberg in Ludwigsburg. His successful short, It’s me. Helmut, was shown at more than 240 festivals on all five continents and received 42 prizes and honorary mentions, including a nomination for the 2010 German Short Film Prize. In 2010, he received a Fulbright scholarship to San Francisco Art Institute, where he dedicated most of his time to analogue photography and developing board games. He spent 2014 as Valais Canton’s Artist in Residence in Brooklyn. Above and Below is his Film Academy graduation piece and also his feature-length directorial debut. The complete Berlin & Beyond Program Guide can be downloaded, advance tickets can be purchased, trailers can be views and other information is available at the website. This entry was posted in Films, Films: Shorts and tagged Eat My Shorts, Films. Bookmark the permalink. ← Son of Saul Reviews X 2, Hot Buttered Rum, A Mystery Writer’s Recipes, Berlin and Beyond, Who’s Oscar?